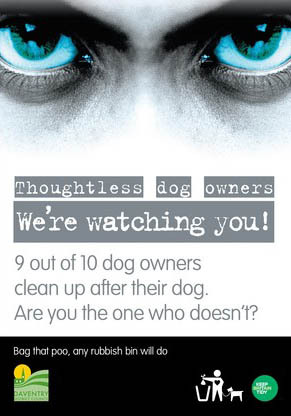 I know from delivering leaflets around our area just how much we all love our dogs! We heard some very sad news from Hampton earlier this month. Three dogs that had been left alone in a car later died as a result of over-heating. 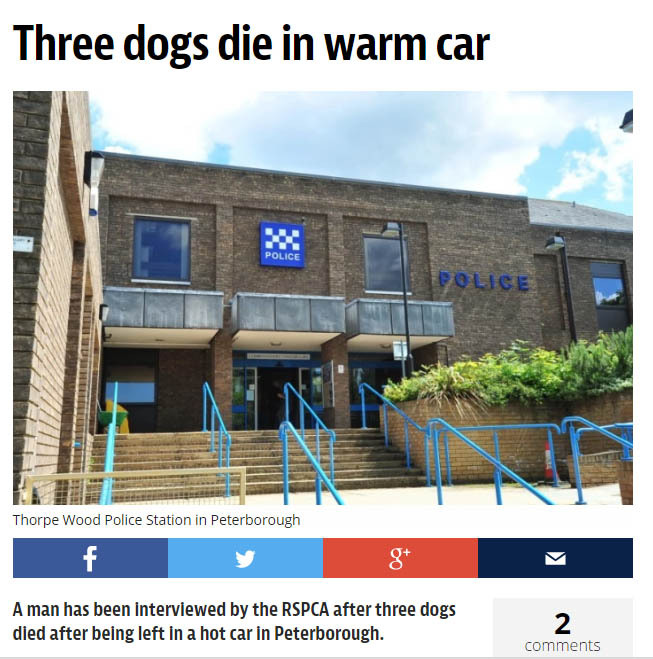 The incident is currently the subject of an RSPCA investigation so I won't speculate further, but the news serves as a stark reminder that it is never safe to leave your dog unattended in the car in hot weather. Hot weather isn't restricted to the summer months in Peterborough, nor is it always the case that every day in summer is hot. But weather conditions change very quickly, and even if the weather is cool, a car can heat up very rapidly. Leaving a window partially open will only help for a very short period of time. If planning a journey to a place where you will have no choice but to leave your alone dog in your car for any length of time, please think about whether it is safer to leave the dog at home. I'm a dog owner and know the great amount of planning that dog ownership involves. But I also know that dogs are completely reliant on us and can succumb to heat very quickly. Every time we take our dog Reggie on a trip we think first and ask ourselves 'Can one of us stay with the dog all the time?' If we cannot avoid leaving him alone in the car then it's better and safer for him to stay at home. The poster you see above is produced by Wood Green, the animals charity in nearby Godmanchester. 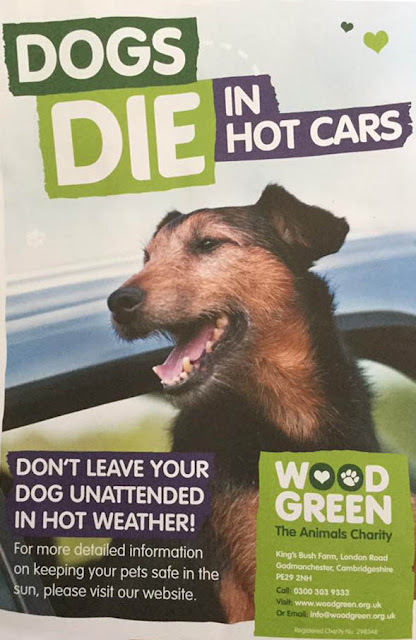 Do visit Wood Green's website to find our more about keeping your dog safe in the heat. This isn't political correctness or scaremongering. Dogs really do very quickly die in hot cars. Please don't leave your dog alone in your car. Not even for a moment. If Graffiti is Hidden is it Still Anti-Social? Artistic expression, social comment or simply vandalism? 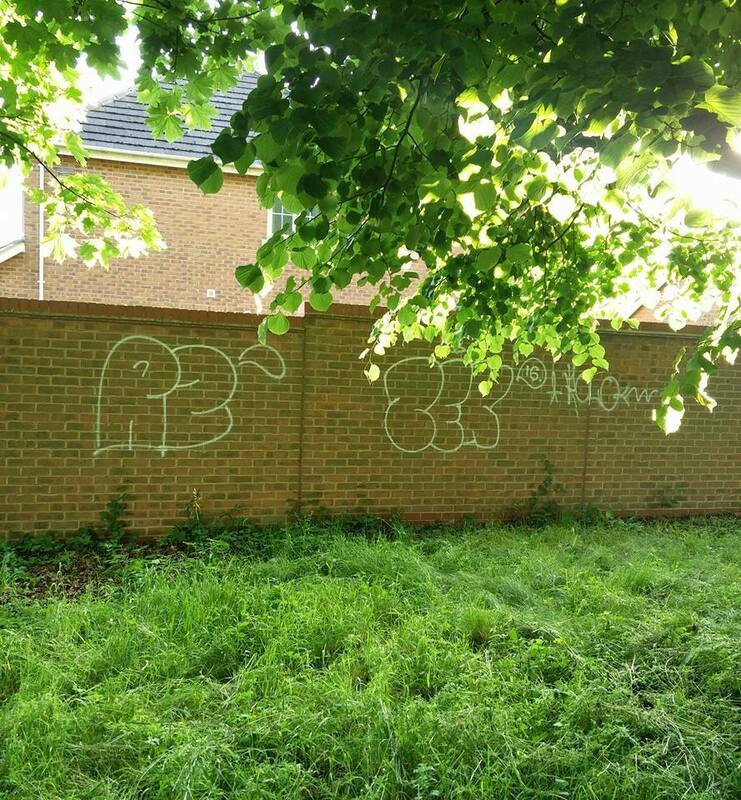 Graffiti recently appeared on a wall that separates a residential street from a recreational field in Orton Northgate. I'm sure my immediate reaction to it is the same as most residents': Yuck. What a selfish thing to do. But the location of this particular graffiti gave me pause. Why here? By whom? What for? The 'what for' is complicated. Is it a desire of make one's voice heard or a deliberate act of vandalism, intended to annoy and offend? 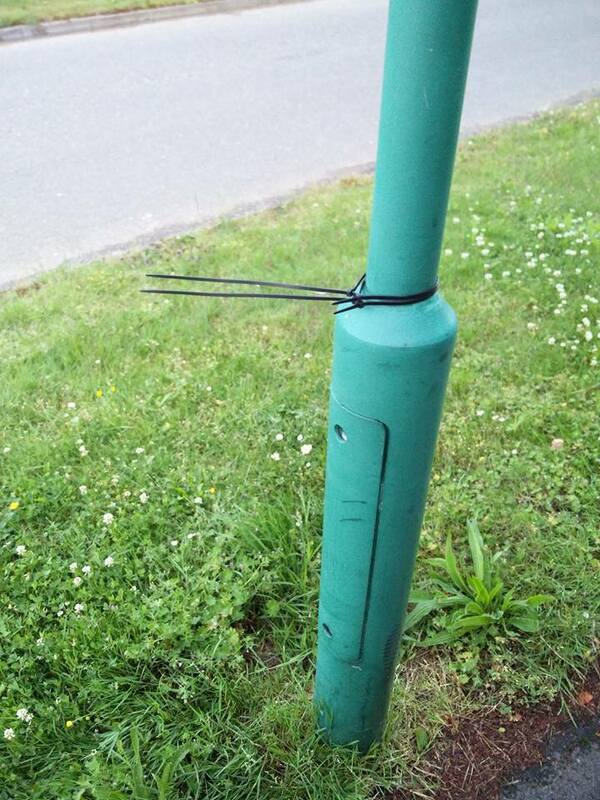 Without speaking to the person who did this (and they never stick around for a conversation, do they?!) I guess we'll never know. Why here? The 'artist' chose to daub on a part of the wall that very few people, other than those living close to it, will see. It is halfhearted and lacks confidence or conviction. There is no discernible message. It brings nothing. It adds no value. It's just sad. Being almost hidden (though not from my eagle-eyes!) is it even anti-social? If no one sees a gesture is it a gesture at all? 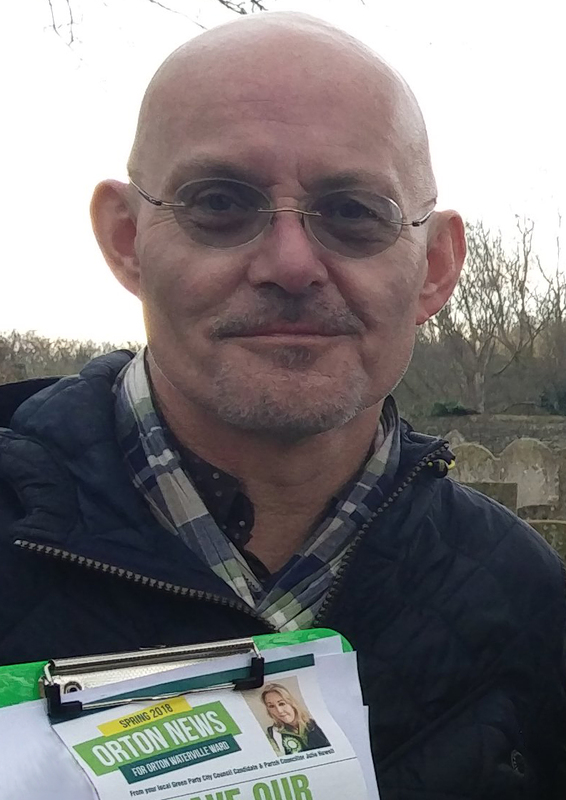 "Graffiti is as old as civilisation"
I'm no expert on this so I asked my Green Party colleagues Alex Airey and Peter Slinger what they thought. Alex says, "All life wants to leave its mark on the world. Graffiti is as old as civilisation. Just imagine if some prehistoric busy-body had gone around after the cave painters cleaning the walls, or the slave quarters at the Colosseum or the medieval guard posts had been repaired..."
It's a fair point. Who are the rest of us to judge the future social value of contemporary graffiti? Peter says, "It is a democratic space and graffiti is about taking ownership. It is marking possession by one group that may well upset another group with equal rights to that environment. So in that sense it is anti-social. What makes it disagreeable is that it does not attempt to communicate anything to the wider population - there is no message (unless you are part of that particular culture). If it was imagery or a message that was accessible to the population as a whole, it would be more democratic and I would have more time for it." 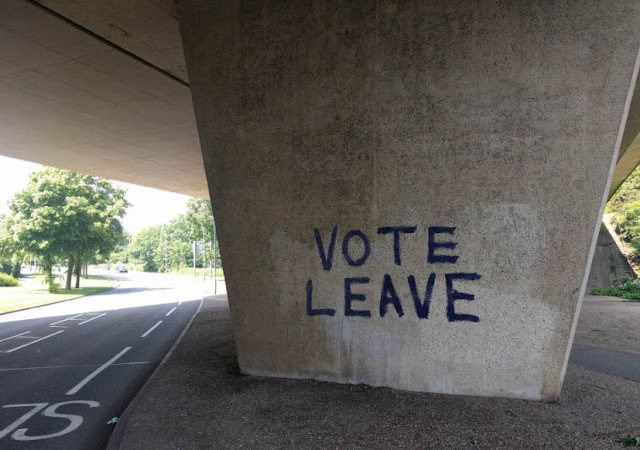 Over in Stanground, some graffiti appeared recently that most definitely communicated a clear message to the wider population. Photos of the graffiti quickly circulated around local social media. What do you think? It this form of graffiti more legitimate or less offensive because it is legible and its message is easy to understand? Whoever did this clearly did so with confidence and conviction, unlike the person who left the graffiti in Northgate. Are both sets of graffiti equally anti-social, or is one less offensive than the other? Is all graffiti selfish, or is some justified? 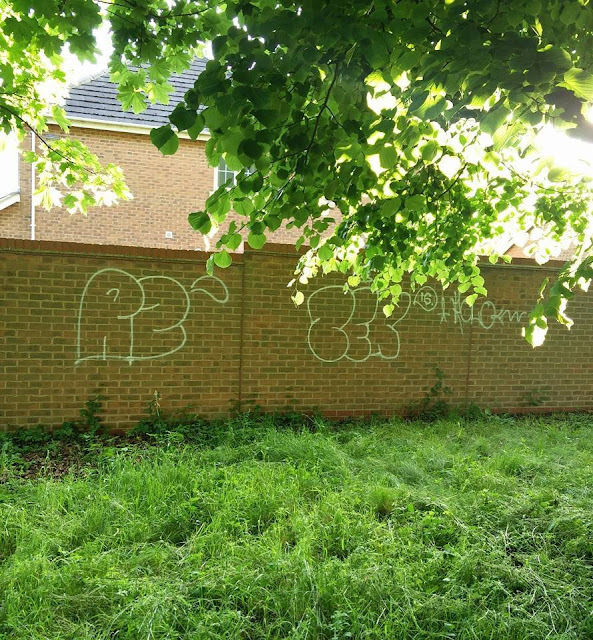 Peterborough City Council spends around £50,000 per year on graffiti removal. That is a lot of council tax that might be spent on facilities and services that the whole community could enjoy. The graffiti in Northgate has been reported to the City Council and I've been told they will remove it soon. I hope there will be no repeat of it here or anywhere across Orton, but how might we otherwise meet this need to be heard, and to leave a mark? I'd be interested to hear your views. You will have heard the national headlines and know that Britain has decided to leave the EU. 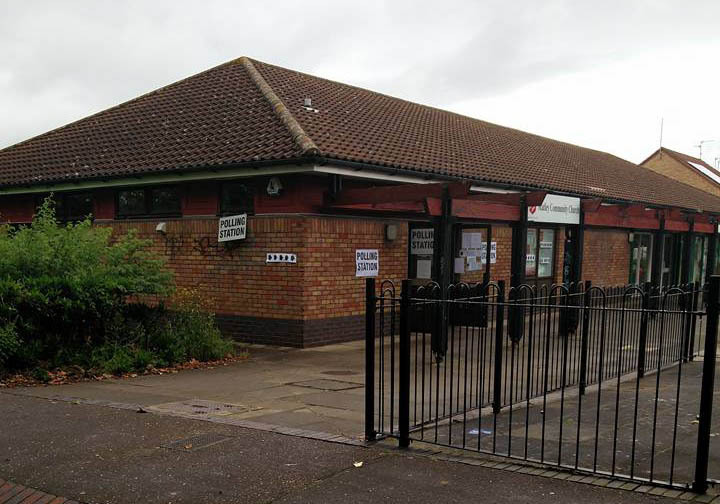 Orton Waterville ward experienced a high turnout for the EU referendum vote. So how did residents of Orton Waterville ward vote? Like most of Peterborough, Orton Waterville voted to LEAVE the EU. However, the result in our ward was by no means unanimous. Interestingly, our ward had the third highest pro-REMAIN vote in Peterborough and the fourth highest pro-LEAVE vote! Read the full list of results on the Peterborough Telegraph website. A real split, with 985 votes separating the two sides, but the LEAVES were in the majority here. How Close is Your Polling Station? It's the European Referendum today. You know my feelings on the matter, so I'm not getting into that again other than to say, however you feel, PLEASE VOTE. I'm writing this at 6pm, having already been out to vote. 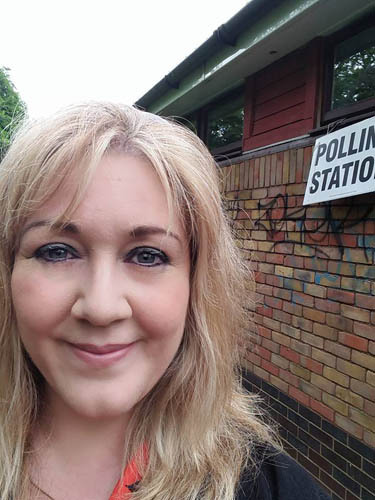 Here's a picture of me taken outside my polling station in Orton Brimbles. "Orton Brimbles?! I thought you lived in Orton Northgate, in that house with all the 'Vote Green' posters in the window, Julie!" Well, yes, I do live in Orton Northgate. Unfortunately, there is no polling station here. There isn't one in Orton Southgate either. Our polling station is in Matley in Orton Brimbles, 1.5 miles away. No big deal? Well, it can be if, like me, you don't drive. It happens that I don't mind a walk, and voting is very important to me, so I will make the effort. But it concerns me that turnout at the last local election was only 35% in this ward and I wonder to what extent the distance to the polling station made a difference. Yes, it is true that more and more people choose to vote by post these days. Personally, I like the ritual and the process to turning up at the polling station to vote in person. I like to see democracy in action. I like to say 'hello' to people in my community. One of the great things about polling day used to be that feeling of being united under democracy as we all trooped to the polling station. There's an atmosphere of anticipation, and I like it. I still want to do that. I just wish the polling station wasn't quite so far away from my home and I worry that the distance deters some people from voting at all. The irony, of course, is that there is a polling station very close to Northgate in Alwalton, but Electoral Commission rules state that you can only vote at the polling station to which you have been assigned (and Alwalton is beyond the ward boundary - in fact, it's outside Peterborough). This makes total sense from an administrative point of view. I'm less convinced that it makes sense for all residents, however. What do you think? Given the growth of Ortons Northgate and Southgate, isn't it time we had a polling station of our own? 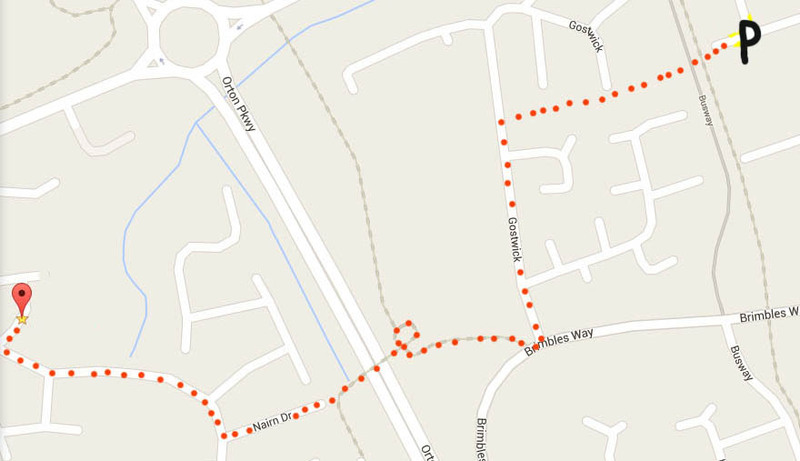 A crude map of my walk to my nearest polling station, 1.5 miles away. Yes, it does involve walking in a little circle at the half-way point. I shall let you work out why. We may never know what happened here. Orton Waterville Parish Council paid for some signs to be put up on lamp posts across the parish - at the request of residents, I hasten to add - to encourage people to pick up after their dogs. I chose the locations for six signs in Ortons Northgate and Southgate. So I was a bit miffed to find that two of them have been torn down. Who did it, I wonder? Was it a contractor working for the property developer that is still responsible for the Northgate development? Was it a contractor working for Peterborough City Council? Or was it a naughty passerby who thinks destroying signs that they themselves paid for (the Parish Council is funded via our Council Tax) is a cool/daring/amusing thing to do? This is a mystery that may never be solved. I had a poke about in nearby bushes and couldn't find any sign of the signs, so I'm going to think the best of people and assume that a contractor removed them. Anyway, that's the disappointing old news. The fantastic newer news is that two brand new dog bins, in delightful pillar box red, have since been installed in Orton Northgate (let's hope no one mistakes one for a pillar box). These new bins have taken pressure off the one dog bin that was previously relied upon in Northgate (every Monday I would plunge a rubber-gloved hand into it to make more room as, being emptied on Tuesdays, it was always over-flowing by the following Monday - the things I do for my community...). And the terrific news is that whoever was letting their dog poo all over the verges of Northgate does now seem to have taken the hint and is making use of the new bins - hurrah! So whatever happened to my lovely signs now matters not. Thank you Peterborough City Council (or was it the developer?) for our new dog waste bins, and thank you, residents of Orton Northgate, for making use of them. Northgate is so much nicer without dog poo on its verges. 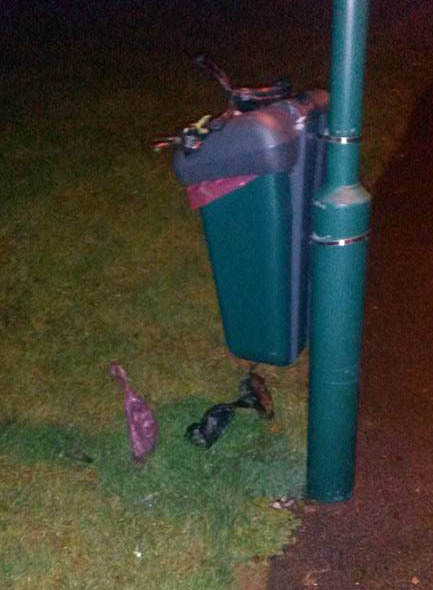 No dog bins on your estate? No matter. 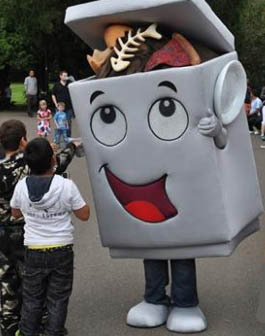 The new floor-standing litter bins that Peterborough City Council has provided are multi-purpose. This means you can put your dog poo bags in any public litter bin. These new bins are infinitely better than the old lamp post-mounted litter bins, that were frequently raided by local crows, that would pick out the dog poo bags from the bins and drop them on the ground! I was told by a City Councillor that it is no longer their policy to provide new dog bins, so the residents of Orton Northgate are very blessed indeed. I'm often asked whether I'll be 'doing anything nice over the weekend'. My answer is invariably 'yes' as I spend my weekends where I spend my weekdays, at home, with you, in the Ortons. This Saturday has been a particularly busy one. The day started in Gostwick allotments in Orton Brimbles. 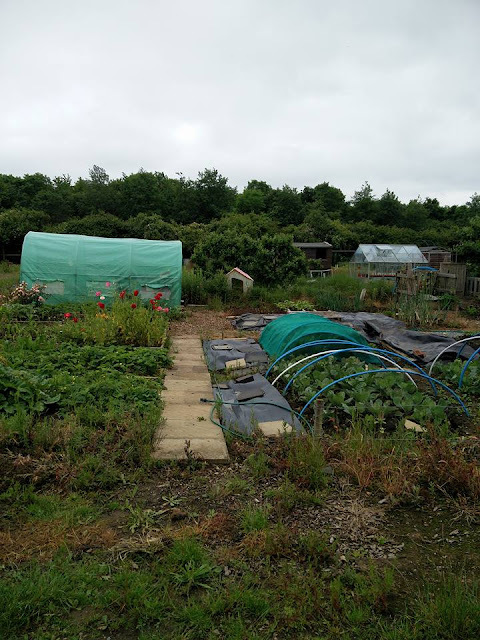 Here I met up with fellow Green Party members and parish councillors Alex Airey and Roger Proudfoot to have a look at the allotments. It was really good to see so many well-tended plots with space for more keen gardeners to get involved. 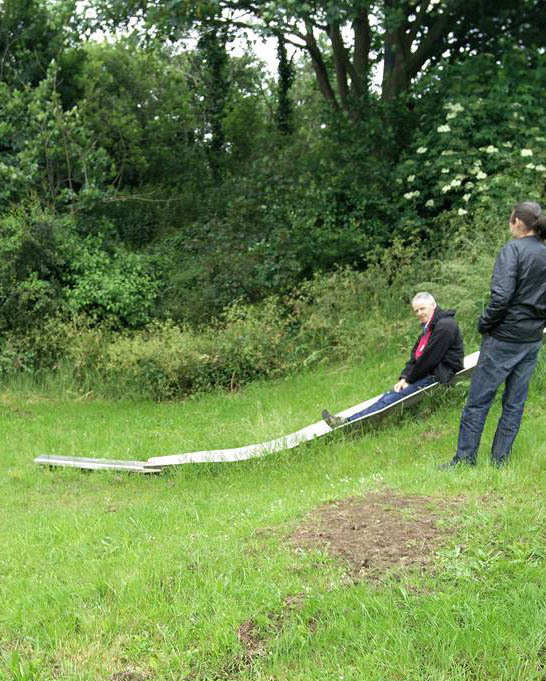 Roger, Alex and I then popped across to Orton Waterville to take a look at the playground facilities at The Gannocks. Shortly before the last City Council elections, I was contacted by a local resident with a request for better play facilities for her grandchildren at the site. I directed the lady to the parish council which is now looking into it with a group of local residents. Our next stop was the ponds near Mill Crescent where red kites flew overhead. 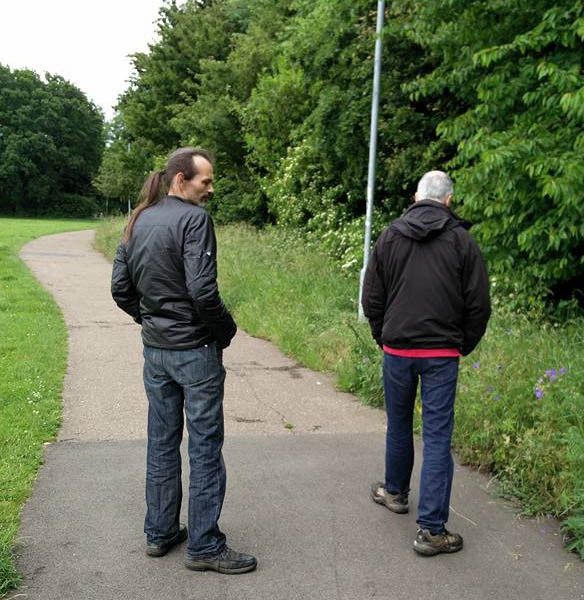 In particular, we wanted to take a look at some land adjacent to the sports field at the end of Mill Crescent that has in the past been set aside for wild flowers. We are very keen to see more of Peterborough's grasslands turned into meadows. In fact, this is the subject of an article that Roger has written for this week's edition of the Peterborough Telegraph - I popped into the newsagent in Church Drive to pick up a copy! 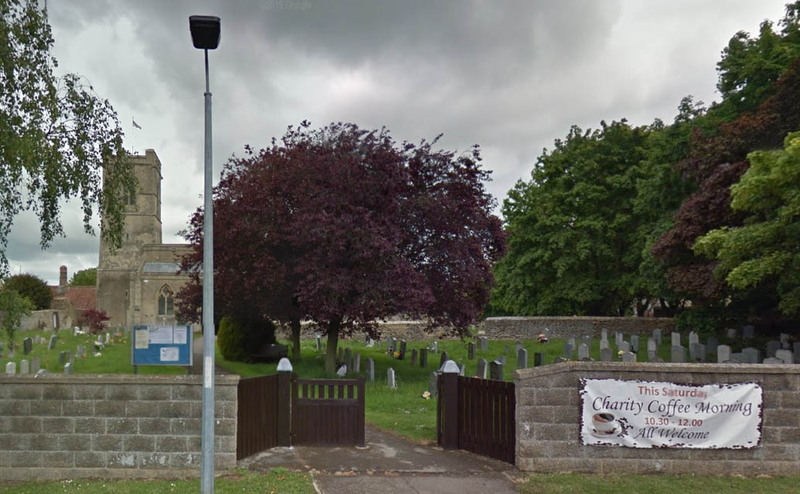 Our walk took us past St Mary's Church where we noticed a charity coffee morning was in full swing. Someone said 'cake' and before anyone else could say 'lemon drizzle' the three of us were sitting down in the church enjoying tea, coffee and homemade baked goods. We met a number of residents who explained that the purpose of the coffee morning is to raise funds for local charities, today's being East Anglia's Children's Hospices. We all bought raffle tickets and both Alex and I came away with a prize each (chocolates and bubble bath) while Roger was very happy to be given some free tomato plants. 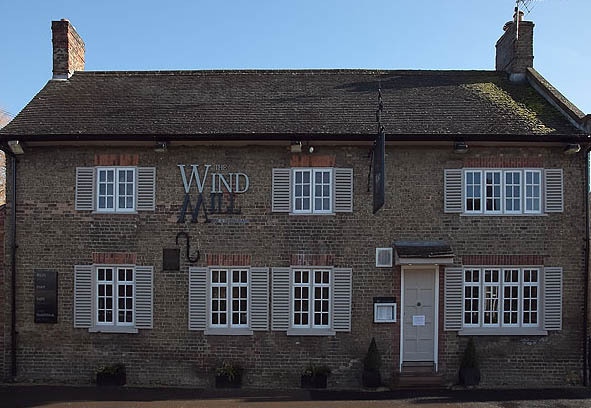 Our final stop was the historic Windmill pub on Cherry Orton Road, where we gave our legs a rest and reflected on the morning's events. I confess our visits to The Windmill slightly out number our visits to St Mary's but as we managed to spend time in both today (and spent more money in St Mary's) we left feeling virtuous. Just a simple walk around any part of Orton will bring you close to nature and to areas of great natural beauty. Over the coming months, I hope to meet with more residents to find out how we can help you preserve and protect the areas we already have and create more enriching natural spaces for everyone to enjoy. My friend and fellow disability rights campaigner Mik Scarlet once said, "To be a disabled person is a political act." How I wish it were not so. But I have to agree. Rights that everyone else can take for granted are often given to disabled people begrudgingly, if at all. As a nation, we're still some way off understanding why rights that protect disabled people in terms of access to products and services, education and employment, leisure and travel, democracy and independence are so important. However, behind the scenes, many disabled people and our allies have been working tirelessly to ensure that legislation is put in place at European level to give us the best chance of contributing to the societies we live in and of living fulfilling lives. It is so important that we continue to have strong disability rights legislation across Europe to protect the human rights of people who are sick, have long term conditions and who are temporarily or permanently disabled. 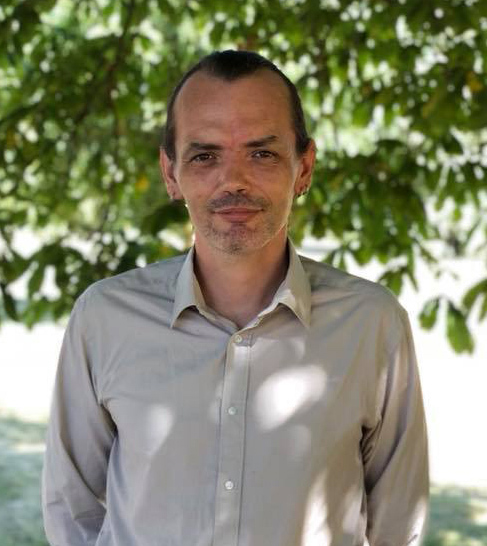 Over the past 25 years, I've been personally involved in campaigning and policy work to ensure that disabled people are not the social pariahs that we were in the 19th century, when the only way to eat was through begging and when, if we lived long enough to be old, we were forced to see out our days in the poorhouse as there was no other option (with no NHS, welfare state or employment legislation to protect us, our families simply couldn't afford to support us if we couldn't support ourselves). Unless we keep our eye on it, disabled people living now and in the near future are at risk of suffering the same level of discrimination and poverty as disabled people did 150 years ago. The rights that disabled people enjoy now are still some way off true equality. Disability hate crime is on the rise, and government policies such as the 'bedroom tax' have ensured that many sick and disabled people live in terrible stress and poverty (as if being ill wasn't stressful enough). 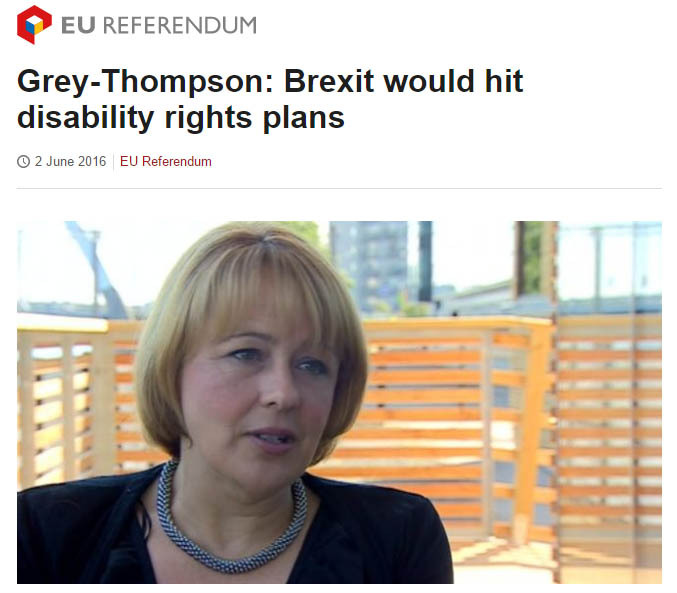 Despite this, the rights disabled people enjoy today are so much more than the rights we had before the UK was a member of the EU. To throw away decades of effort that has seen the rights of disabled people improve - one piece of EU legislation at a time - by leaving the EU is unthinkable. This is why I am voting for Britain to #Remain in the EU and I urge you to do the same. We shouldn't be having this referendum at all. A promise made in the 2015 Conservative Party Manifesto, intended to coax UKIP voters back into the fold, has brought us to this. Now here we are, in 2016, about to vote on something so important, that could have a negative impact on the lives of so many people, yet most residents I speak to feel ill-informed and don't know how to vote for the best. 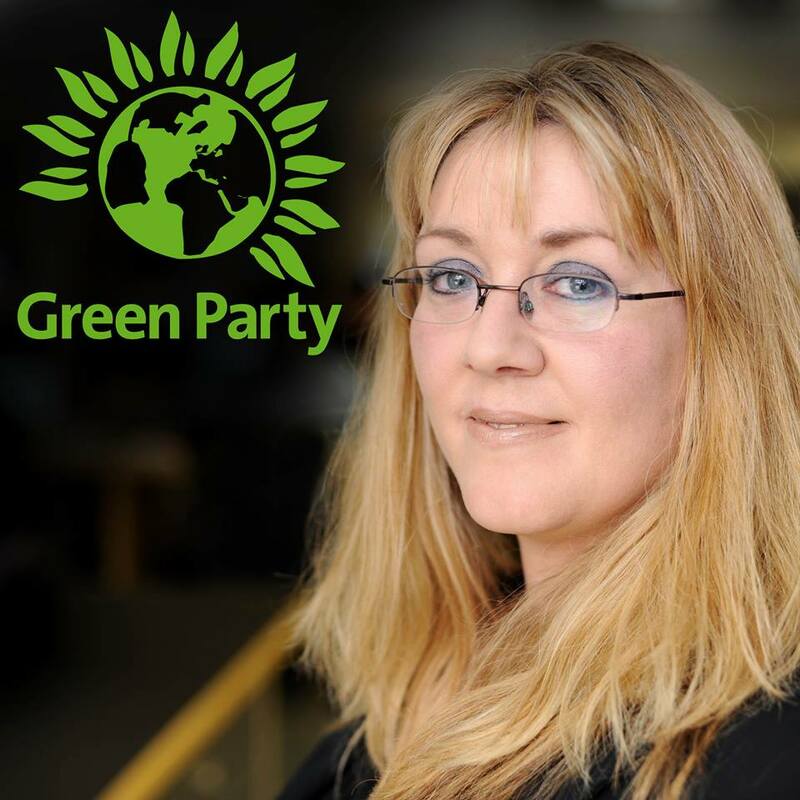 I'm a Green Party member. I'm still permitted to think and say what I believe, but it happens that I agree 100% with the official Green Party position on this... we must REMAIN in the EU. I feel really passionate about this, so I'm going to try and do a series of vids saying why I think the UK should remain IN the EU. Please comment, agree, disagree, share etc. as you see fit. Transcript: I want to say something about this EU referendum that we’re facing in the UK because it really worries me, the idea that the UK could leave the EU. It scares me, to be honest, and it bothers me that so many people seem to think that that might possibly work out for the UK. I think it would be an absolute disaster. And it also bothers me that the campaigns on both sides have been really negative I think there are loads and loads of really good reasons why the UK should and must remain in the EU, so I want to make those positive arguments for staying in the EU. Here’s my first one. We live in a world which is increasingly globalised. I hope everyone would agree with that. I think it’s true that the problems that we face and their solutions, be the issue terrorism or global warming or multi-national companies avoiding tax, these are international problems. They’re not problems that respect national boundaries and I think the solutions to those problems also lie in international cooperation. Of course the EU isn’t perfect. There are loads of things wrong with it but it’s as good an organisation as we’ve got, and I don’t see any way in the foreseeable future that it can be replaced by anything better. Britain has a huge voice in the EU. We’re really powerful players in the EU. I think we would lose some of that influence if we left. We need to be in there, going to those meetings, on the pitch, not shouting from the side-lines. International cooperation is the way forward, not isolationism. 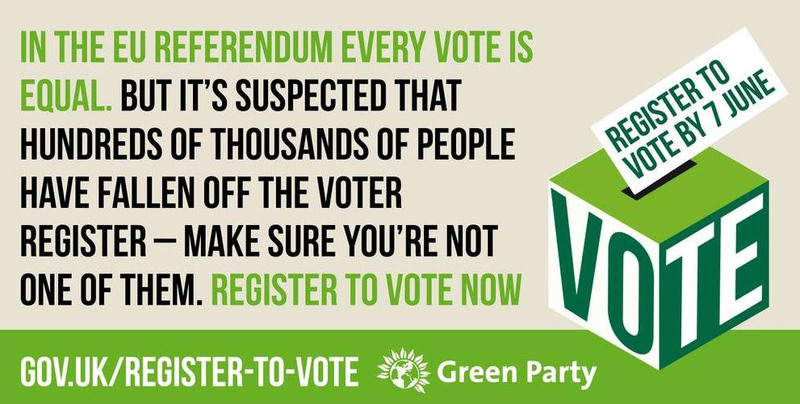 So what are the Green Party's reasons for encouraging us all to vote to REMAIN in the EU? It's only through concerted international efforts that we have a chance of solving the climate crisis. The UK's membership of the EU is a crucial part of that fight. Renewable energy in the UK has been boosted by EU action. Paid holidays, maternity rights, and fair treatment for temps, agency and part-time workers come from our EU membership. The TUC (Trades Union Congress) has warned that leaving the EU would put at risk 40 years of progress on our rights at work. The EU promotes equality and diversity in the workplace and beyond. With corporations operating across borders, we need international rules to keep them in check - on wage levels, working conditions, and environmental standards. EU rules are helping to close tax loopholes and clamp down on tax dodging. Our beaches and rivers are cleaner, our air less polluted, and animals and habitats far safer because of EU protections. Our children are better protected from toxic chemicals. We benefit from over 100 European laws protecting people and the environment. EU membership gives us a better chance of getting a decent job. 3-4 million jobs are linked directly and indirectly to our trade with other EU countries - according to a range of studies by independent experts as well as the UK Government. As EU citizens, we are free to live, study, work, travel and retire anywhere across Europe. Freedom of movement enriches our lives, culture and opportunities. The EU has secured lasting peace in Europe after the bloodshed of the Second World War. The EU also has a vital role in spreading democracy, peace, and human rights throughout the world. The EU isn't perfect, but to change Europe for the better, we need to keep our seat at the table. Greens are fighting for a more democratic EU, and for stronger EU action to protect our environment, tackle inequality, and challenge the power of corporations. The EU ain't broken... it's a work in progress, and what it's already given us is so good that walking away now seems incredulous to me. ... in other words, PEOPLE. What we think of as 'good health' is a movable feast. The natural ageing process brings about many conditions, some temporary, some permanent, that mean we may need a bit of help doing all the things we want to do, like to do and need to do to be happy human beings. I believe being a happy human being is a basic right of everyone. The thought that any of the measures that we have in place now at EU level that protect disabled people (i.e. all of us) might be taken away is very, very frightening indeed. I cannot understand why we would want to transport ourselves back to the 1850s, when disabled people had no rights at all and if you lived to be old (which was unlikely) you'd most likely live out your days in a poorhouse or workhouse. Through our membership of the EU, we've be working hard to put policies in place to ensure our human rights. This isn't political correctness... it's humanity. "Our membership of the EU has had real, positive benefits for the millions of UK residents with limiting long-term illnesses, impairments or disabilities. It has helped to counter workplace discrimination, obliged transport providers to make their services more accessible and secured access to some UK disability benefits for Britons living in other EU countries. Not only would leaving the EU jeopardise these, it would close us off from enjoying the rewards of upcoming legislation that will further increase accessibility and risk a recession that would leave less money to be spent on much needed support services." 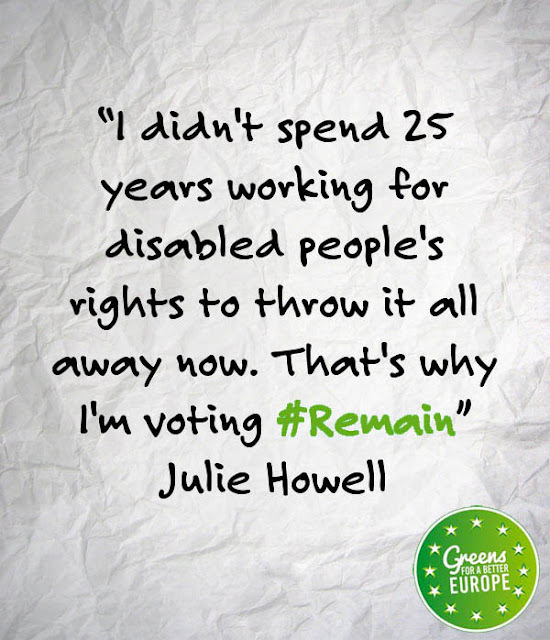 I didn't spend the past 25 years working for disabled people's rights to throw it all away now. I'm not interested in scare tactics or coercion. You must vote as your heart tells you. However, it's my belief that the EU has enabled us to build a strong body of disability rights legislation that is worth protecting. In just the past 20 years, I've seen rights for disabled people change and grow for the better because we have tackled the issues from a European perspective. Let's keep moving in this direction. It's Volunteers' Week, so what better time to tell you about the things you can do with your spare time to support your local community. You already know that I love Peterborough. I wasn't born here, but I have lived here for many years and it feels like home to me. Peterborough has been very kind to me, which is why I have decided to dedicate a few years to volunteering in my local community. What do I get out of it? Loads. In May 2015, I decided to become a Parish Councillor and applied to be co-opted onto Orton Waterville Parish Council. I wasn't entirely sure that it would be 'my thing', but decided to give it two years and see how it went. Turns out, it was one of my better life decisions. Parish Councils make all kinds of decisions on issues that affect the local community. Probably the most common topics that Parish Councillors get involved with are planning matters (we are statutory consultees), crime prevention, managing open spaces and campaigning for and delivering better services and facilities. We're very fortunate on Orton Waterville Parish Council to have a full complement of Parish Councillors - 13 in all - three of whom are also City Councillors. The best way to find out what your Parish Council does is by visiting the Orton Waterville Parish Council website. I enjoy being a Parish Councillor so much, I decided to double my involvement. In June 2016, I was co-opted onto the neighbouring Parish Council for Orton Longueville. So now I cover the entire Orton area, and a little bit of Woodston too. Being a Parish Councillor means I spend a great deal of time listening to residents' concerns, both between meetings and during the 'pubic forum' section of the formal monthly meetings. It's a real privilege to serve our local community in this way, and I love it. 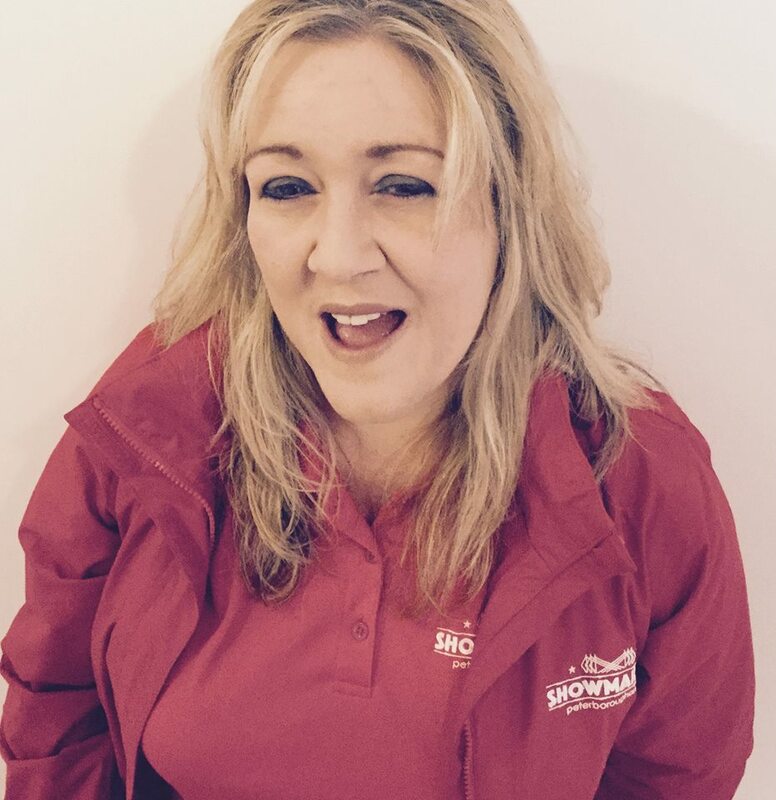 I became a volunteer Showmaker at Peterborough Arena in October 2015 and already I've provided voluntary help at a broad range of public events. Being middle aged(!) I was a bit concerned about whether I'd be fit enough to be of use, but it turns out the Arena offers voluntary opportunities to suit all abilities. 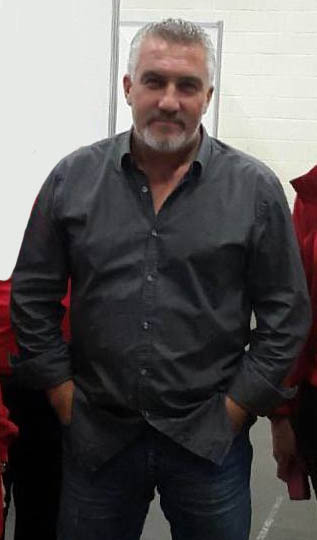 I'm in this picture but have cropped myself out so not to rub your nose in it. The Arena team always takes good care of me and I look forward to my days with them (it's hard work, but doesn't feel like work). The best thing is meeting so many members of the public. Annual events like Truckfest and The Autumn Food & Country Fair attract local people and visitors from all over Europe. The Arena is an asset to Peterborough, as the events it hosts bring a huge amount to our local economy. The Arena itself is owned by the East of England Agricultural Society which is a registered charity. This is why volunteers are crucial to the venue's success. If you would like to join me as a volunteer Showmaker, get in touch with Peterborough Arena and let them know! 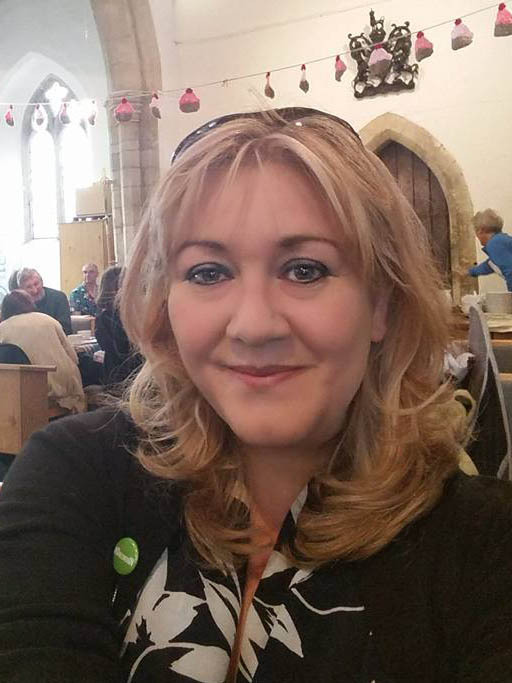 It would be remiss of me to omit to mention that we're ALWAYS in need of volunteers and new members at Peterborough Green Party. As you would expect, it's a hive of activity around election time. However, we're just as busy between elections, organising meetings and events and spreading the word about the work the we do around Peterborough. If you'd like to get involved, drop me a line at julie@howell4ortonwaterville.uk I'll be very pleased to hear from you. These are three of the places where I volunteer. What could you do to support your local community? If you like to get involved with events then Vivacity is always on the lookout for enthusiastic volunteers. If you'd prefer something less physical or are not sure what kind of volunteering you'd like to do the best place to start is Peterborough Council for Voluntary Service. So one of the places I do my volunteering is Peterborough Arena. The Arena is the building, now an arena, on the Peterborough Showground. There’s lots of reasons why I like being a volunteer working at the Arena. There’s lots of reasons for it really. Partly it’s, you know, to be involved in my local community. The Arena, I live very close to it, and the Arena are our neighbours so it’s good to give something back to them. They are a good neighbour you know. Yes it can be noisy with some of the things that they have there, but it’s always at scheduled times, and they are very understanding if ever there is a problem with noise in particular they go and sort it out, which is great. Part of being a community isn’t just doing the things that serve you. So I like to go along there and I help with things like handing out leaflets, helping with crowd control, and being a marshal, helping people get to their seats, helping people get the most out of the event. It’s not just people who live here who come to these events. People come from far afield to events that are held at the Showground, like Truckfest and we had Bill Bailey here the other week. And it’s just great for Peterborough. It brings tourists here. It brings people here that spend money on local hotels and in local shops and that is a good thing for all of Peterborough so I’m very proud of that. We have a lovely red uniform that we get to wear. I like it. It gives me a sense of pride that I’m involved with something. So I would look again at volunteering. You might think oh it’s, you know, it’s something tedious and you don’t get anything from it. But honestly, I love it. And the opportunity to spend the day talking with people who are excited because they’re at an event that they’ve been looking forward to for ages is really wonderful. So if you get an opportunity, give it a go. And they’re always looking for Showmaker volunteers here so do get on their website and get in touch with the Arena. If recent weather is anything to go by, we're in for a glorious summer. Peterborough is a city-by-the-countryside. You don't have to travel far in any direction to be confronted by glorious landscapes and areas of breath-taking beauty. Much effort is made to hold onto the gorgeous natural surroundings that we already have, with Peterborough City Council working in partnership with a number of agencies to ensure that we protect our beautiful landscape for generations to come. Sensitive town planning has also meant that even our more urban areas are lush and green, with many of us just stone's throw from either a public park or, at the very least, a luscious grassy verge. there really is such a thing at too much green! Last year, the grass grew very slowly (I think I only had to mow the lawn once the entire summer!). 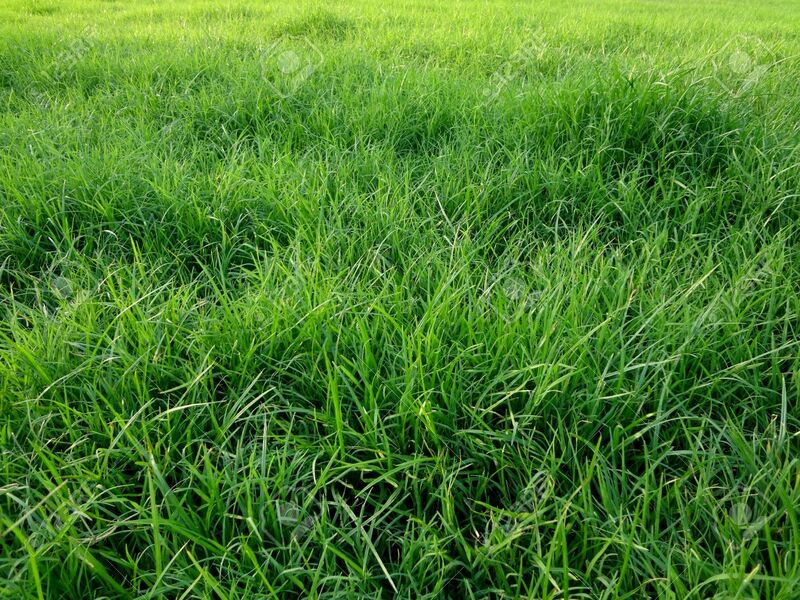 This year, lots of rain and lots of sun has encouraged grass to grow long, tall and thick. If you are fortunate enough to have a garden, you'll be all too aware of this as you've probably had to mow your lawn several times already this season. Unfortunately, however, the austerity cuts that we're all experiencing continue to have a very negative impact on some of our public services. Those things our City Council used to organise for us without us really noticing have become painfully obvious for their infrequency. One of these is grass-cutting. Everyone understands the importance of picking up after their dog, but owners find this difficult to do when grass is several inches high. Tics love long grass and can spread diseases. You or your dog or cat are far more likely to pick up a tic in long grass. It's more difficult to pick up litter when it's hidden in long grass, where it does unseen and long-term damage to the ground underneath. We want our children to play safely outdoors. If the long grass conceals dog mess, tics and rubbish it's not safe. And it looks a mess. "I have never seen such a mess" - Peterborough resident. A heated discussion on social media on the topic of Peterborough City Council's grass-cutting policy (that the Council will cut the grass eight times a year) has led some residents to speculate that the Council's decision to cut the city's grass less frequently than in previous years has been made for 'environmental reasons'. I was pretty sure this wasn't the case (in fact, a resident raised the matter at a recent meeting of Orton Longueville Parish Council and a representative of AMEY, the company contracted by Peterborough City Council to cut the grass, confirmed that the reduction in grass cuts around the city has got nothing to do with the environment and everything to do with saving money). 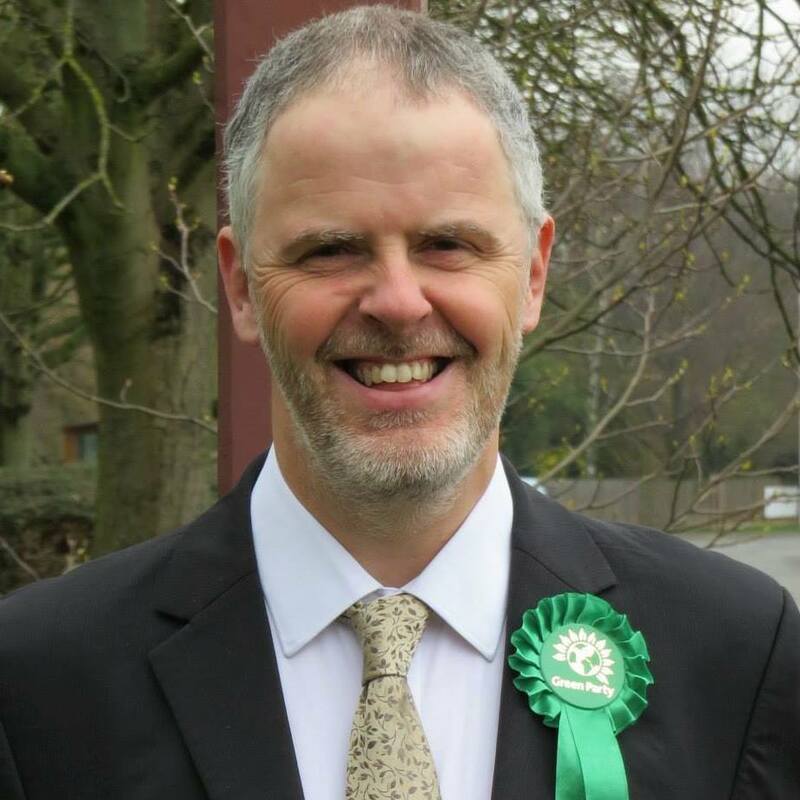 To give you the right information, I asked Peterborough Green Party Coordinator Roger Proudfoot whether it's true that overgrown verges and recreation fields make for good habitats where nature will thrive. “This is wholly inaccurate”, he said. 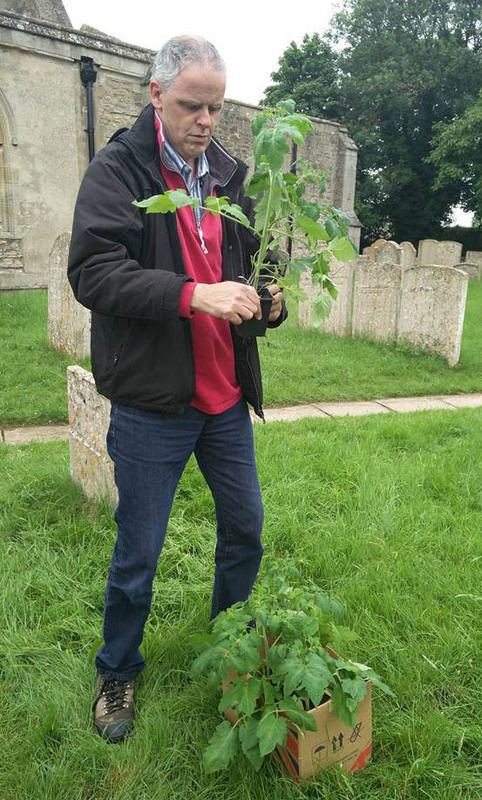 Read more in Roger's Peterborough Telegraph articles Greener Spaces for People and Wildlife and Let's Aim for the Best of Both Worlds. He knows the difference between 'grassland' and 'uncut grass'. As our wildlife in England is in peril, with up to 60% of our native species in decline, more well-managed grassland is desperately needed. Grassland can contain as many as 10 more species of animals and plants and up to 50 times more individuals and can provide a haven for insects, moths, butterflies, hunting grounds for frogs and newts and a food source for birds and mammals such as hedgehogs. Unfortunately, amenity grass is of low value to wildlife as it simply does not provide the right habitat nor does it contain the right nutrients required for wildlife to thrive. Left to its own devices, the 'wrong kind' of grass will dominate and the wild flowers that are necessary for wildlife to benefit will fail to thrive. 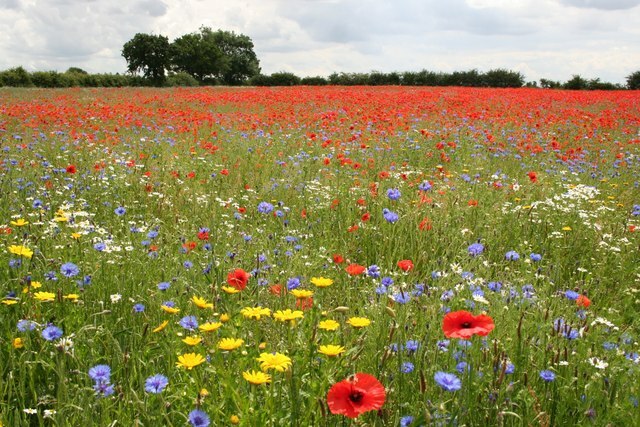 There should also be wild flower seeding programmes – the assumption that a beautiful biodiversity will simply appear if grass is not cut is false. This is what a wild flower meadow can look like. Whereas this is what un-managed, un-cut grass in Orton Goldhay looks like. Peterborough Green Party is calling on Peterborough City Council to introduce a well-defined long-term grass-cutting strategy through consultation with local communities and Parish Councils that keeps recreation grass short while encouraging grassland in non-amenity grass areas (such as verges) to thrive. “Peterborough residents have grown used to seeing neat grass verges”, says Roger. “However, properly-maintained grasslands are far more beautiful. 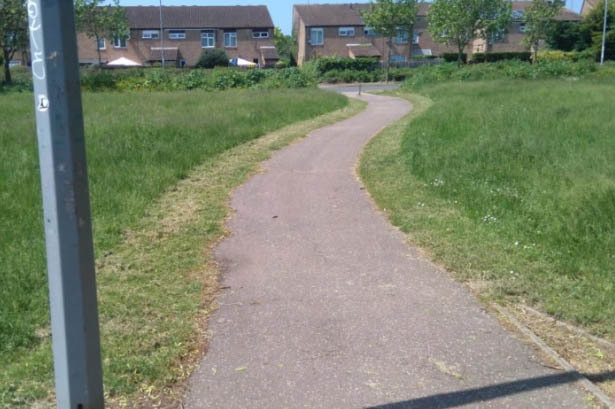 We urge Peterborough City Council to focus resources on maintaining recreational amenity grass and to begin a programme to turn verges and areas not required for recreation or dog-walking into properly-managed grasslands. So there you have it. The grass in the Ortons has been left to grow to save money. And not cutting it doesn't help wildlife. However, if Peterborough City Council would like our help to create beautiful managed grasslands where wildlife will thrive, we're ready and willing to help! 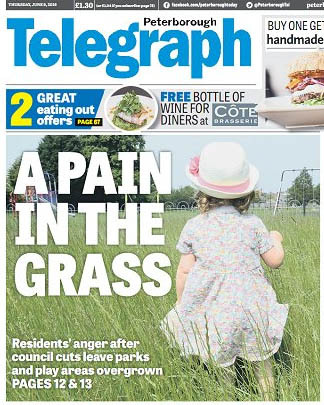 Following what can only be described as a 'public outcry' and a classic front page headline in the Peterborough Telegraph (I wonder how long the editor has been sitting on that one), Peterborough City Council has issued a statement in which it says that the grass cutting policy for Peterborough will be reviewed. That's fair enough. The statement also mentions several areas in our city (none in Orton - boo!) that have been identified as 'biodiversity areas'. These are managed as such and are subject to a different cutting regime. 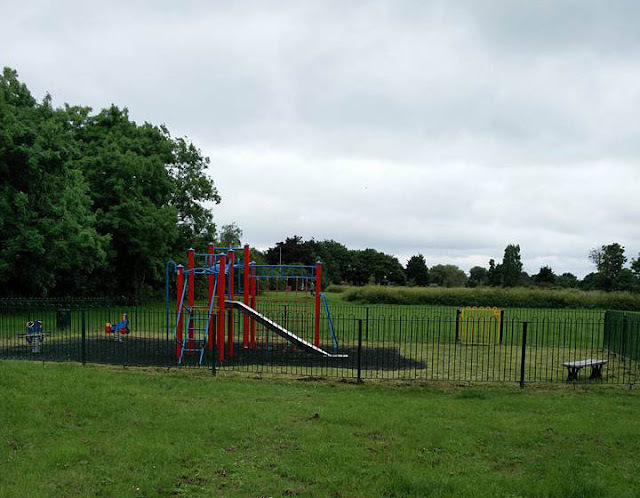 Unsurprisingly, we like this a lot, but why are there no biodiversity areas in Orton where the infrequency of grass cuts recently has made residents so happy? Do you know what, I'm going to ask. I know the person who did this meant well. The Orton Northgate and Orton Southgate estates are both built on what used to be Showground land and before that I guess the entire area was open fields. About 20 years ago, houses were built here and people moved in. The area is still rich in wildlife though, native and migrant birds in particular. So I completely understand why someone who loves birds has decided to leave half a loaf of sliced bread out for them on a grass verge. What's the problems with this? 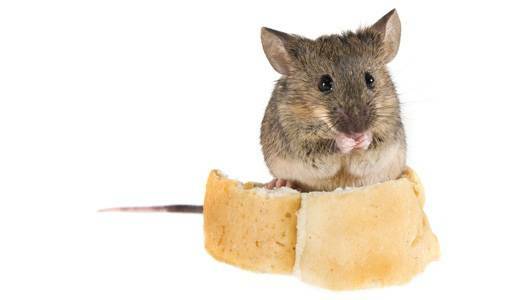 While the birds may appear to be glad of the bread (though they won't necessarily eat it, and it's not very good for them if they do), rats will love it even more. Rats and housing estates are not a good combination. I picked this lot up from a grass verge in Orton Northgate, took it home and fed it to Hungry Harry. If you would like to attract wildlife to our estates without creating a pest problem, the Wildlife Trusts website has lots of fantastic advice on how to create just the right environment for Britain's wide variety of garden birds. 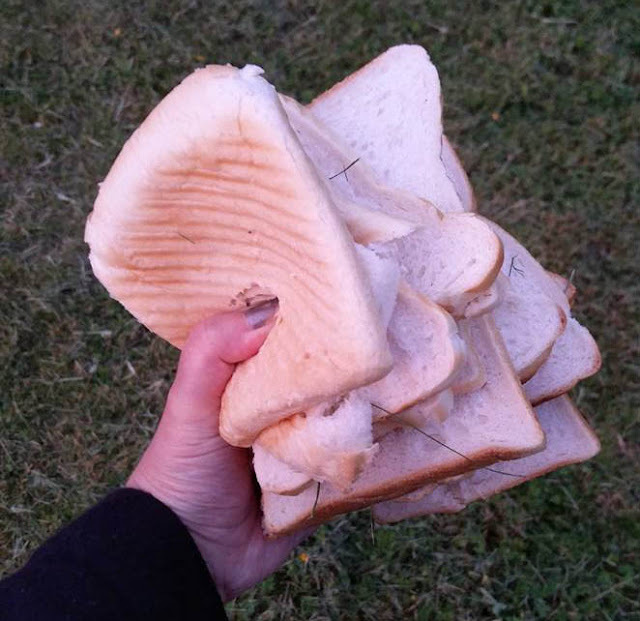 As for bread scraps (though I notice this bread was fresh and would still be fit for human consumption had it not been thrown on the ground), all Peterborough residents have a grey food waste caddy (affectionately called 'Hungry Harry') that the council empties from the kerbside weekly. These little grey fellows love to eat scraps and you can never harm them or create a pest problem if you use them properly. Not actual size. That would be terrifying. Seriously, please don't throw food on the ground that is likely to attract rats, because when rats become a problem the pest controllers are called in by the City Council, and that means poison. The last thing we want is poison put down where our people, children, cats, dogs and wildlife like to be. And there are other things you can do with stale or leftover bread. I'll leave the last word to Mr Rat: "I love bread. If you leave it out on grass verges in your estate, I'll come to visit you, I'll bring lots of friends and we'll have a party. We don't mean to, but we spread diseases and then the people at the City Council will put down traps and poison and that's bad for us and you. So please don't leave bread out for the birds. They much prefer to eat from bird feeders instead!" 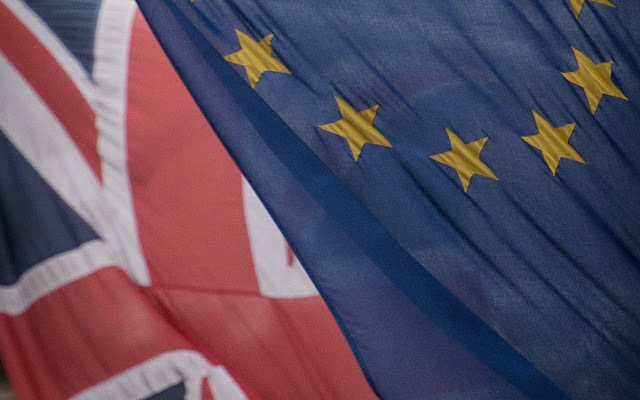 EU Referendum: Are You Registered to Vote? You are probably very aware that there will be a referendum on 23rd June 2016. This is your opportunity to vote on whether the UK should remain within the European Union. This referendum is happening now because it is one of the promises that the Conservative Government made in its 2015 General Election Manifesto. 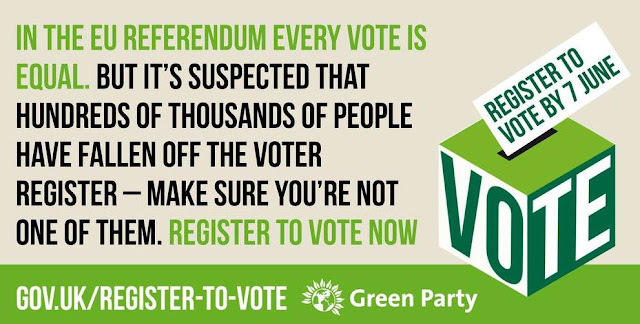 You can only vote in this important referendum if you are registered to vote. Every vote in this referendum really does count, so whichever way you decide to vote, make your voice heard! UPDATE! You now have until the end of Thursday 9th June to register!